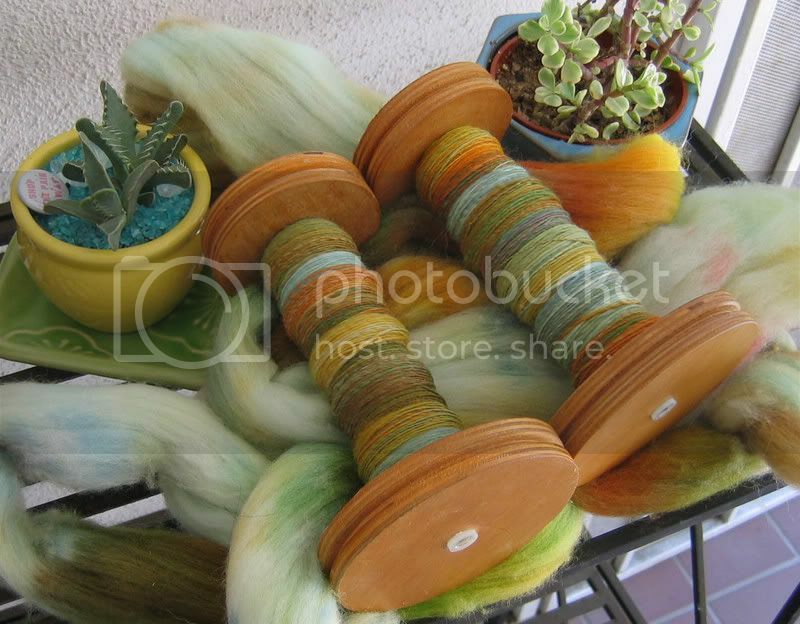 I managed to get a picture of what's on the bobbins... though by now these two have been plied together and sit tightly around the niddy noddy as one sweet sport weight yarn. And they said it couldn't be done on a bulky flyer! I've got a worsted to bulky 2-ply, a sport weight 2-ply, a bouncy number plied with thread and the next one will be a single. Why? Just as an experiment and to challenge myself, as I promised to do during the Tour de Fleece. I hope all the Tour spinners are challenging themselves too! Warning, I know where you blog! I love how the singles spun up. Can't wait to see the plyed yarn.